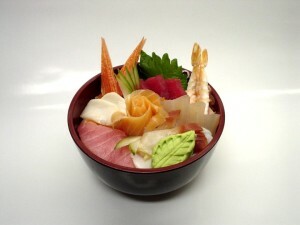 The world of sushi is filled with spectacular displays of the human imagination to create small works of art. 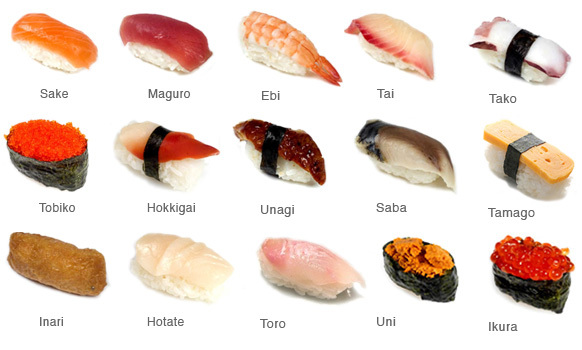 There are all types of sushi rolls out there. 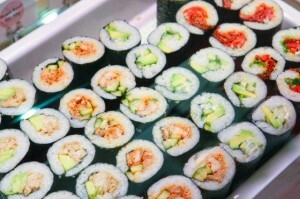 Fresh sushi can come with a wide arrange of ingredients and sauces that will have you wanting to try them all. Sushi usually comes in two forms; cooked sushi and raw sushi. 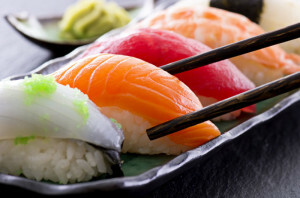 Most sushi is made with a special white rice called sushi rice that is short grain and is seasoned with rice vinegar, sugar, and salt. 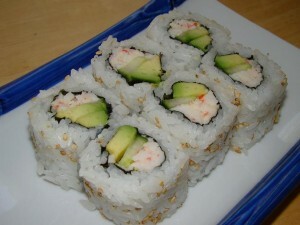 Most sushi restaurants offer the option of brown rice sushi for anyone who wants it instead of the white rice. Eating sushi raw is not for everyone, and should not be taken lightly either. Sushi fish is not regular fish caught out in the ocean and brought to the restaurant. 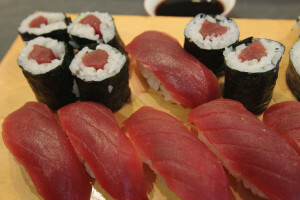 It has to be sushi grade fish, as in it has to meet special requirements in order to be sold for raw consumption. Sushi fish has to be properly frozen and handled before it is sold out to the restaurants. 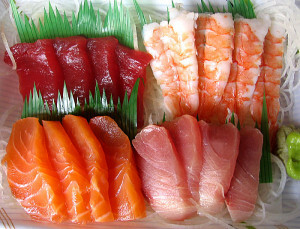 The best sushi chefs know what to look for when they purchase these fish, such as smells and color. 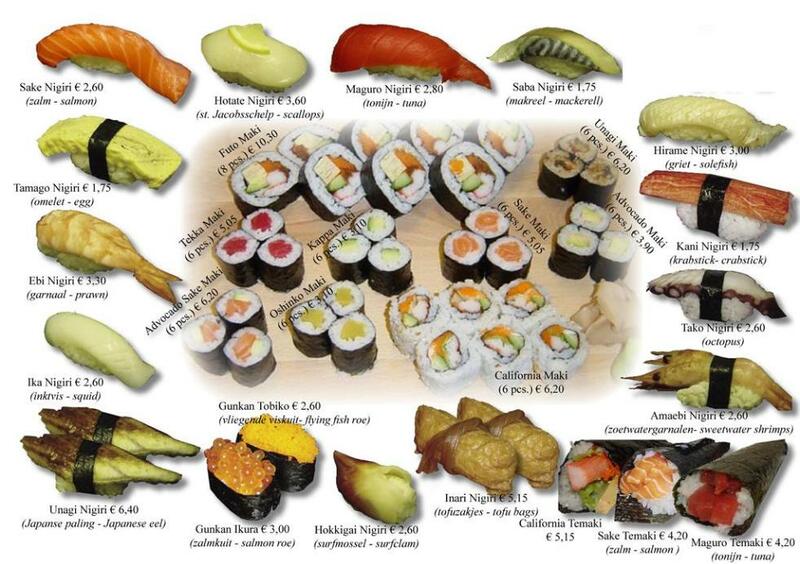 There is of course a vegetarian sushi that does not have the fish. Vegan sushi is made out of rice, nori, and any vegetable that can be thought of. 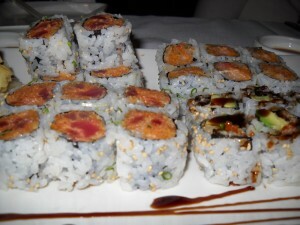 In this article, we have looked through the top sushi rolls and put together a list of them so you know which one to pick for your next sushi dinner! 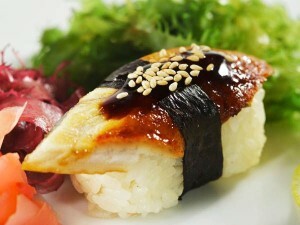 A thin slice of fish or any other ingredient that is placed on top of a rice ball. 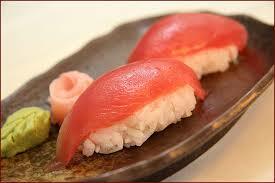 In Japan the word nigiri stands for forming with the hand. The regular sushi rolls that you are used to see. A bowl filled with sushi rice that has been season with rice vinegar, salt, and sugar. On top they put a variety of seafood and vegetables. This is kind of like a nigiri, just made into squares or rectangles. A thin batter made to hold rice and other ingredients. 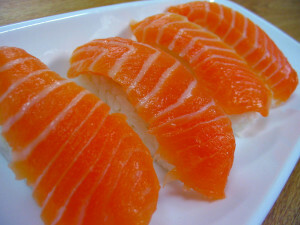 Thin cuts of fish like salmon, tuna, and yellow tail served as is. The spicy tuna maki is typically seen on every sushi restaurant menu in the United States. The roll is ground up tuna mixed with chilli pepper. According to our sushi calories, a spicy tuna roll has 290 calories, 11 grams of fat, 26 grams of carbs, and 20 grams of protein. Hokkigai is a clam. Typically set upon a ball of rice without any nori ( called nigiri). A single piece of hokkigai nigiri sushi is 51 calories, 0 grams of fat, 9 grams of carbs, and 6 grams of protein. A simple sushi roll made out of just avocados. 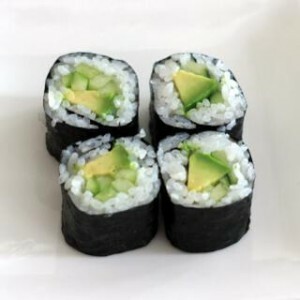 Avocado sushi calories are 140 calories, 6 grams of fat, 28 grams of carbs, 2 grams of protein. We have a avocado sushi recipe for you. Uramiki can be any sushi roll. It is an inside out sushi. The ingredients are in the middle and wrapped around by nori. The rice is on the outside. These are a bit harder to make since they are more fragile. Unagi is another term for a fresh water eel. 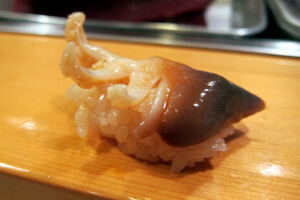 It is typically cooked with sauce and placed on top of a rice ball nigiri style. It has 371 calories, 4 grams of fat, 72 grams of carbs, and 10 grams of protein. 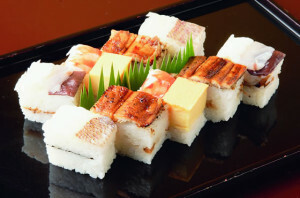 We have an eel sushi recipe for you. This is the blue fin tuna. It is the belly cut and very oily and fatty. Blue fin sushi recipe here. 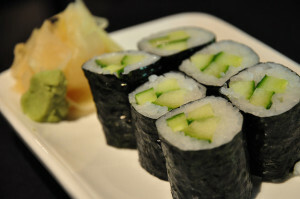 A vegetarian sushi roll that is made entirely of a cucumber. 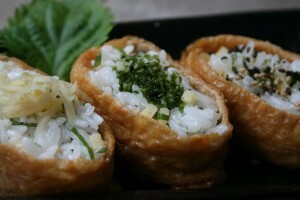 Kappa maki are only 136 calories for the entire roll. Salmon nigiri on a rice ball. A thin slice of tuna wrapped around with rice and nori. One of the most popular sushi rolls in America. It is made out of avocado, cucumber, and crab. It is not raw.